Oh boy, oh boy! It’s that time of the year again to experience Boston’s fine local artistic talent in the biggest mega-performance setting of the entire year. Yes, First Night is soon upon us yet again. I couldn’t wait to see what was in store for the audience in the way of ethnic-oriented performances at this year’s New Year’s Eve festivities. So, here is a list of what I could find, at this point anyway, as a result of perusing the schedule. It looks very promising indeed! Go ahead and take a peek. This festive evening ends with a fireworks display on the waterfront, of course, at midnight. Always a nice way to bring in the New Year! 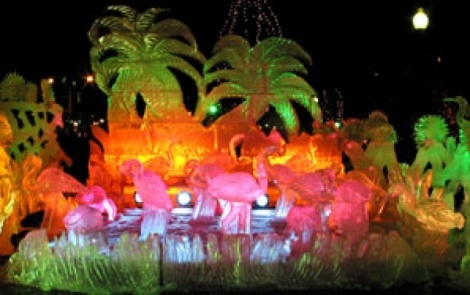 Get all the details of this fabulous event at the First Night 2010 web site, including a schedule of all the happenings complete with times and locations. Oh, and one last tip- purchase your tickets online and save money on orders of two or more! What attracts me most to Boston Latino TV‘s brand of event coverage is their extensive utilization of video formatting as a means of getting their messages across. Their site (www.bostonlatino.TV) is just chocked full of interesting and informative video clips, including great behind-the-scenes footage you won’t find elsewhere. There’s nothing quite like being informed of an event as you are actually experiencing the feeling of being there, at least to a certain degree. Don’t worry if you don’t speak Spanish either. All of the narrative is in plain English! And, as is always a big plus for the world music fan, there is plenty of audio to be heard and enjoyed. BostonLatino.TV will keep you informed of upcoming local events while featuring the major ones in their coverage, so you know which ones are predicted to be “hottest”. Enjoy video clips of live concerts given by international stars on tour in Boston and afterwards, you can even go back stage with reporters who will treat you to exclusive interviews. The staff will also let you in on some of the latest local gossip currently buzzing around the Latin entertainment world along with their best photos of local and international celebrities and event attendees. In addition to what’s immediately in view on the home page, you can access most all of this neat info in either the Around Town or VIP Access sections. One of my favorite sections of the site though, is the Music section which features local Latin artists and audio links to samples of their music. Subscribe to the station’s newsletter or peruse their calendar of events in order to keep informed of local happenings on a regular basis. If your interested in tuning in to an actual broadcast, you can consult the schedule to see when BostonLaino.TV is on the air. 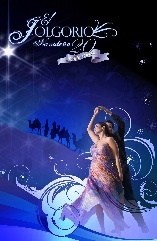 Celebrate the Holidays in Grand Style at the El Jolgorio Navideno Gala: One of Boston’s Premier Latin Events – Saturday, December 12th @ 7:00 p.m. I don’t know about you, but I find the excuse to dress up and experience a little glitz and glamour now and then to be a fun and exciting departure from my usual entertainment style. Well, El Jogorio Navideno provides one with the opportunity to do just that and, at the same time, make a contribution to a great cause. This annual fundraiser gala is one of the biggest Latino parties of the year in Massachusetts. It has been going strong for 20 years and has grown to attract a crowd of 3,500 or so participants. The festivities originally began within the local Puerto Rican community, but have sense expanded their cultural borders somewhat, offering guests an evening of premier Latin entertainment of all kinds. Naturally, this would include a great line-up of Latin music ensembles! There’ll be plenty of dancing and ethnic food, as well. As always, I am a huge fan of any event that brings world music and fundrasing for global cultural causes together. All of the proceeds from El Jolgorio Navideno go to support the projects of the non-profit organization El Jolgorio de Massachusetts, Inc. which is dedicated to insuring a strong presense of traditional Latino culture within the local community. A large part of their efforts are directed towards educational programs for Latino youth. Many of the personalities associated with this fine organization will be recognized during the festivites, so this looks to be quite an interesting and event-filled evening. 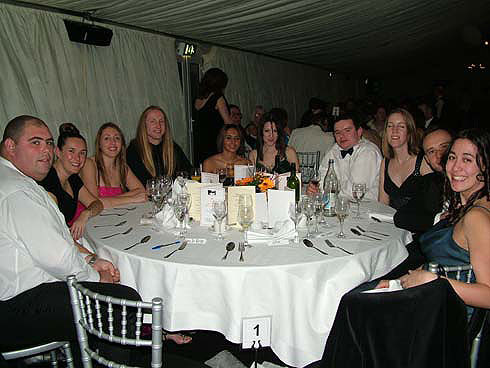 This popular event is expected to sell-out, so purchase your tickets as soon as possible! When: December 12th – Saturday @ 7:00 p.m. – 1:00 a.m. While we’re on the subject of Brian O’Donovan’s great productions, I wanted make certain to mention his wonderful music program, A Celtic Sojourn, which airs Saturday afternoons from 3:00 – 6:00 p.m. on WGBH radio. Tune in to 89.7 FM to enjoy folk and contemporary music of Celtic nations and Great Britain as well. 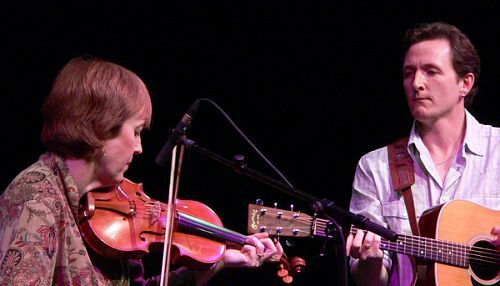 O’Donovan is a native of Ireland and has gained such a following with his radio show that it has been expanded into the production of cds, DVDs, TV specials, and the very popular annual holiday concert event A Christmas Celtic Sojourn (see previous post). There are also two more Celtic music programs on WGBH which air on a less regular basis. A Celtic Sojourn Presents: The Boston Sessions is designed to give the listener the impression of attending an informal jam session in a local pub. 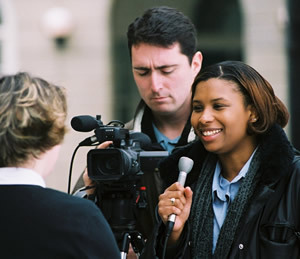 Featuring both local and international guest stars, this program airs in front of a live audience and entertains its listeners from a truly unique perspective. Celtic Performances: From Our Studios features live in house sessions with some of Celtic music’s top stars and includes interviews conducted by Brian O’Donovan. Visit WGBH’s website to view previous playlists and to listen to past shows. 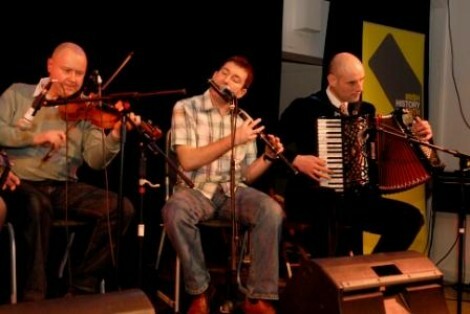 You can also get a heads-up on up-coming Celtic music events happening around town. At the top of the homepage, you will see an opportunity to submit your email in order to keep abreast of all the latest news concerning WGBH radio and, if your interested, you can even email O’Donovan himself at celtic@wgbh.org. Enjoy special benefits by either registering or becoming a member of WGBH. WICN is New England’s premier specialist radio station for folk and jazz music. Every Friday evening, they air four wonderful hours of total Latin Jazz ecstacy! Hosted by Jim Benitez, Latin Jazz Beat is on from 7-11 p.m. If you just happen to find yourself with some free listening time during this period, then Latin Jazz fans this is one place you want to be. Even if you’re not yet an afficionado of this genre, tune in anyway and you just might become one! In addition, there is more world music sprinkled in amongst some of the other programing, so go ahead- poke around their website and see what you can find. That’s right! 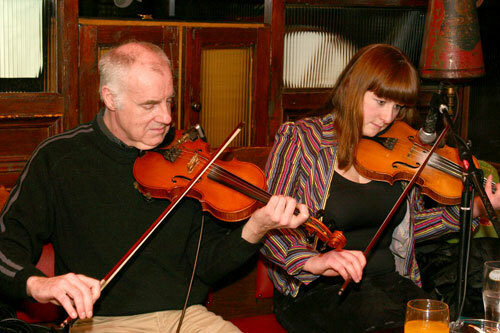 Once a month, to be exact, you can treat yourself to some of Boston’s best local Celtic music talent. 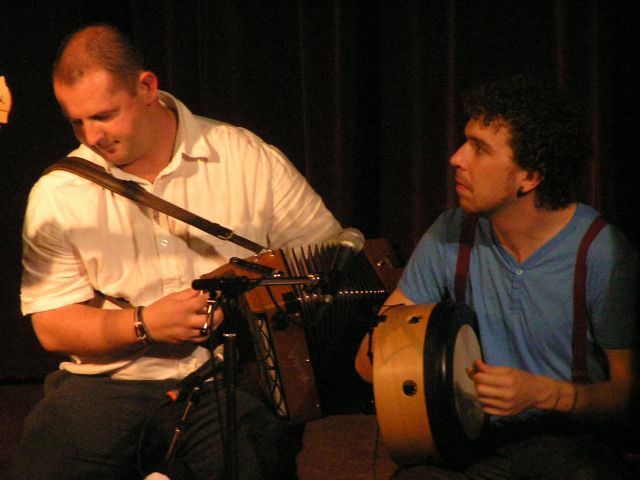 This monthly performance series features the areas top performers of Irish, Scottish, Cape Breton, and other Celtic genres. There’s even an occasional “open mic” night for the yet-to-be discovered newcomers amongst us. Celtic Music Mondays are held at Club Passim, a local folk music institution which just happens to be conveniently located right in Harvard Square.These concerts are the creation of BCMFest, a local organization which holds a huge Celtic music festival every year for a weekend in January. They are continuing to expand their operations in the hopes of getting more of the local community involved in the promotion of this genre for the ultimate enjoyment of all. They are always looking for new performers, volunteers, contributors, and, of course, audience members. 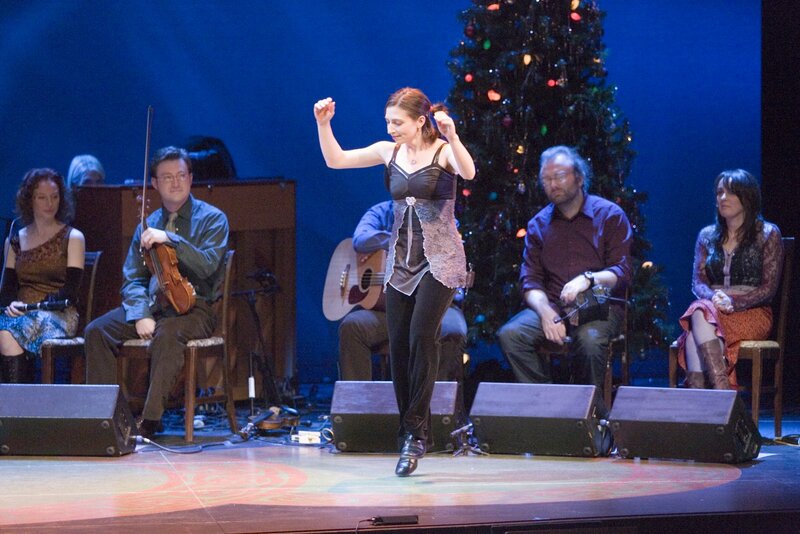 The next Celtic Monday performance on 12/14 will be a preview of BCMFest’s 2010 festival. So if you want to give this form of entertainment a try, this might just be the session to attend. I, myself, went to last years festival and it was fantastic- so much great music! When: Monthly Mondays @ 8:00 p.m. Subscribe to Club Passim’s email newsletter for updates pertaining to this event.